A Divine Light Language message from Master Thoth on using our connection to Self for mastering the daily energies we encounter. Transmitted by Integrative Channel Rev. Christine Meleriessee Hayden. In the world today the element of going through changes is a constant experience for all souls. No one can go through life without the effect of movement which can either be in a backwards downward spiral effect or an upwards increase of vibrational energies. Change is constant and will never stagnate unless an individual allows that non-movement to occur within their consciousness. One example of this may be someone who truly does not desire to experience any elements outside of their current conditions which causes one to stagnate in their personal existence. This is when the element of change can be very challenging and almost debilitating to that individual. Within the Law of Perpetual Transmutation of Energies each initiate is given the opportunity to grow deeper within their own standard of existence. The choice is up to them ~ they can either downward spiral or choose to go in the opposite direction of their Divine Purpose. In any given moment an individual can move from either of those polar opposites to grow into Oneness. One cannot be defined without the other. It is the same truth of the Dark shadows the Light and the Light illuminates the dark. So within this law we truly learn how to experience life in a continual movement of increased awareness to allow the energies to come into the focus of Oneness, which again relates to the first Universal Law. This is especially true with the mastery pathway when an initiate chooses to become the focus within their life – to make the necessary changes not from the tried and true method of the physical world, but within the absolute energies of the higher realms of light in which they are a part of in all aspects of their higher awareness. Without this understanding within their consciousness, they cannot achieve their highest desires as they will be constantly re-working their karma in a completely and different direction than the soul essence truly wants them to experience. When an initiate becomes aware of the Universal Laws, then those laws work through them. It does not matter if they are consciously aware of them or not. Each of the initiations are elements represented by the Universal Laws. When a person truly abides by these rules, then they are fully stepping into mastery. That is why the initiations are set up as they are. It is a true statement of how an initiate is going to work through their issues to understand how to accept the change that they need to go through in the Mastery Pathway. It has always been a tried and true method of soul advancement. The key element is for an initiate to truly see who they are in a variety of situations. This is where the Law of Perpetual Transmutation of Energies works – it allows an individual to see the highs and lows of their vibrational consciousness. The key is to realize when it is a high and when it is a low to allow them to come into Oneness. Without the ability to fully realize the potential within their experience, the lesson will be lost. And this is when the experience is felt again, and again, until that individual can stop the see-saw effect to see that the true cause of their pain is truly within their own consciousness, their karmic contracts, and how the Emotional and Mental bodies will react in those specific cases. This is why this law can be very challenging for many initiates as they have not done the inner work on the ground level. The Emotional and Mental Bodies (2nd and 3rd Initiations) must be addressed when an individual is standing within those levels of awareness and lessons of mastery. What happens when an initiate does not go to the inner depths in those beginning levels, they then will have a very difficult time when they reach the 4th initiation. And sometimes, a person will fall back in the lower initiations only because the physical self cannot handle the lesson that is given to them. The Higher Self may have thought they were ready but when the true test is experienced by the soul, then there may be elements of fear, insecurity, or just not being honest with them-self through the process. In actuality when this does happen the initiate is in a better position to know how to circumvent the problem when it arises again. You see, each individual must be prepared for the higher realms. It depends upon the lower self or the physical mind and heart on how it is going to be acknowledged within that person. Sometimes the backwards movement can just be a sub-level within an initiation. It does not mean that person will drop into the lower initiation. We have to remember that there are seven sublevels within each initiation where the lessons are experienced. The reason I share this background information is to let you know that the Law of Perpetual Transmutation of Energy is just the movement through the initiations which comprise the tests and lessons to be acknowledged. If an initiate does not have the ability to see their truth, the moments of when they are put in situations that are challenging and not able to move through those difficult times, then they cannot acknowledge within themselves who they are becoming. It becomes a mirror effect of feeling as if your mind is clouded from the true view of what is occurring. This is why many initiates become irate and angry when they are challenged with mentors, teachers, others that challenge them, or just allow their lower ego to run their full existence. Realizing within yourself that you need to change, you need to be honest, and to look at the truth inside, is the most humbling act that an initiate can bring unto themselves. It is truly a moment of time in which full Realization is acknowledged within the initiate through the thoughts and the feelings of that an individual can go through. It is a freeing moment of allowing the lower forms of energy to move into the higher existence. This is True Oneness – it is the ability to move through the Transmutation of Energies. It is fully allowing the True Self of the Higher Self combined within the Physical Self to become One. The truth is revealed. The issue can be healed when you move through that doorway that was stopping you previously, you can then find the freedom you desire. You will become the Alchemist, the Healer, the Evolved Being of Light. Please know that this process is a transition of understanding the higher essence that you are within the Physical Self to become and accept the transformation that needs to occur. Allow others to help you; understand that you will know the full truth when you accept that you don’t have all the answers. We all learn from each other in each moment. I learn from all of you every moment so that I can understand what it is like for each of you at this time upon the Earth. All I can do is assist you to know it from the Highest Source of Light and then you become that Light. It is my pleasure to be with you in these moments. Saturday AUGUST 13, 2016 at 12:30 pm PDT (approx. duration 2+ hours). Specifically for individuals desiring to Learn How the Higher Frequencies of Ascension Mastery and Soul Psychology can be used to activate and direct a life on Earth that is in flow with all things. WalkingTerraChrista.com by Rev. Christine Meleriessee Hayden and Rev. J. Michael Hayden (Ara). The Unified Whole Command brings forth their essence to share that the alignment of the Dancing Planets that occurred on January 20, 2016 as they represent our own alignment within the Physical through the Spiritual Self. Welcome to 2016! How does it feel? The frequencies of light are ever changing in each day, hour, and minute. That is what you will be experiencing during this cycle of acceleration. We are honored to communicate with each of you. We represent the Unified Whole Command of the 144th dimensional energies with Master Thoth, Master Einstein, and the Great Divine Director. Our role is to assist each of you in understanding the dynamics of the earth changes and how you may help yourself through the process of GREAT CHANGE. We are so divinely excited to be able to walk with each of you through these changes and want to reiterate to you that we represent the Source of Light that each of you reside from – your True Beginning. So we ask you to take a breath and feel our energies as we expand our essence through the writings of our communication. As the month of January as represented a new beginning within a new year, it can hold elements of anticipation as the energy starts to enfold. As we speak at this time, of the third quarter of the month, we see that there is great confusion but yet also an alignment of energy that is helping many of you to understand that it is all in Divine Order. If you can come to that realization, then you are on the right track. The Universal Laws will become more commonplace in your consciousness as the teachings of the old ways are becoming your Way of Being. That is truly what is starting to occur within this year, but with it comes great turbulence as some of the energies are going to fight against those teachings that truly come from the truth of the eternal self. Let us take a look of what is happening energetically within the planetary system. On the 20th of this month there has been alignment between five of the planets within your solar system which will last for 30 days. This is a testimony of what can be to occur but within the understanding of the planets in alignment there comes a period of re-growth. As these planets are all working within the symmetry of the Earth, they are exhibiting a forceful bond between one another. Each of their essences brings forth a special understanding but the focus within the Solar System is to show that these elements are starting to come into alignment. What happens when this occurs is that whatever does not fit that connection of light, there will be conflicting energies that will result. Each of these planets represent a higher order of understanding as they bring forth the ability to look at life in a very positive experience. Saturn is the planet that is holding the energies for the rest of the planets. The cause brings a New Order of Life. Mercurybrings forth the ability to communicate more clearly, Mars shares its essence of an energetic exchange through being very insightful;Jupiter shares its essence of expanding the concept and belief that there is more than is being shown presently as Venus is the harmonization of love and peace of all the elements coming together in Oneness. If you take this explanation of what is happening around the earth and bring it forth into your own experience, we are sure that you would see that a new consciousness is being created. Aren’t you changing in each moment of your creation? Each of these elements can be understood on a personal level and how to adjust how you are dealing with your life into accepting the New You. The cause of your existence is changing; you are learning that the foundation you have had is now being reinforced with a sense of your higher self. Just as Gaia is expanding through her consciousness all of humanity is doing the same. The difference is that part of humanity accepts the new way of understanding that life is changing for them. The other part is still cloaked in their darkness and cannot see the Light that they truly are – their source of existence. The difference between the two is that one part of humanity is becoming enlightened of what they have not known and the other part is not awakened to the possibilities that are being presented. As this alignment has occurred, it will create great change in the frequency of the Earth. There will be extreme conditions in the bodily functions. Remember, it is about experiencing the alignment but also to incorporate the changes in your four-body system. So there can be great revelations of what is occurring for you. Those of you that are working through the first seven levels of your Planetary Ascension (which represents most all awakened beings) will find that your emotions can become very raw. As the energy is changing, it is working through the Emotional and Mental bodies for them to become aligned within each other. Deep meditations or utilizing special healing tools will assist in the process. Your subconscious is being worked upon with issues you have been having. You may find that you are anxious in one moment and then very calm in another. This is allowing you to move into the state of Divine Oneness. Utilize spiritual tools to help you become more focused with your Higher Self energies. In both cases of the higher initiation levels and the lower, the physical body will be affected in many different ways. There may be periods of acute feelings within the physical body where there are weaknesses. It may feel like you are healing continuously through the issues you have been dealing with. Your sleep state can be erratic. One day you are wide-awake after three or four hours, and another you are sleeping continuously. On the days of being so awake, it is time to do the inner reflection, writing, connecting to the Ascended Master State of Consciousness. Your light quotient can increase but it is up to each individual person to sustain it. Sometimes when this happens a person feels it is uncomfortable so they do things to try and push it away. Grounding these energies in through the Earth Star and restructuring your foundation is the most important way to deal with the inconsistencies. This is because this awareness of the dimension frequencies is coming into alignment at this time. Inter-dimensional travel is very acute and can happen in a moment’s notice. It is important to take time to process every emotion or thought that is coming into your awareness. Some moments may seem more challenging than others. In any case this time is one of great reflection and each moment can be different than the other. The important element is to become very accepting of what is happening for you and not to step into the world of uncertainty. Be one with your I AM Presence. The moon energies of January and February will also reflect these changes. So it is imperative to be grounded with yourself, do your inner work, and understand your inner self, and less concerned with the outer self. These suggestions will help you tremendously to get through these elements. The most important element that we can share is that your stability must come from within as changes are occurring immensely within the planet and within your own energetic system. Your Etheric bodies are becoming more acutely aware of what is happening in the emotional and mental bodies so the adjustment can be very challenging to say the least. As we have said before, the main component will be your connection to your Spiritual Self as the changes will become more acute. Think of the alignment of the planets with Saturn representing your own foundation. It is important to know what is your foundation, why you are guided to do certain tasks, and what the end result may mean for you. You don’t want to bring elements into alignment that are an opposite polarity of what you are trying to integrate within yourself.The remaining planets represent the different aspects of your psychological self to be put into wholeness. Mercury is the communicator. How do you communicate to others? Mars is the key to how you perceive your own energies by allowing your intuitiveness to be your guide and not your Mental Mind. While Jupiter allows for the expansion of your physical consciousness into the higher realms. Venus brings the beauty and harmony that is important to expand out of your field into the world around you as you share the Love That You Are Becoming. All you have to do is look at the weather patterns and see that Gaia is experiencing the same type of conditions within her full-body system. The extreme challenges that are occurring within the planet are resulting in high temperatures and then lower temperatures. High levels of precipitation is occurring as these elements are being focused into Gaia’s core essence. This is the see-saw effect that is happening within and around the planet. There will be areas of concern for individuals, and then there will be a feeling of peace in other places around the globe. In order to fully actualize the Divine Laws of the Universe the laws have to be applied to the consciousness of humanity individually and collectively. So what happens within that process is that elements are disrupted due to not being in alignment with that initial concept of Oneness. All that do not adhere to the acceptance of the Light will be revealed and changed. This is exactly what is occurring at this time as the earth is moving in her evolution towards enlightenment. When a society moves from being very un-awakened to an awakening, it takes many moments of the creative process to be initiated. This is the process that you are all experiencing at this time. Yes, there are great challenges, but each of you has a contract to be here, to experience it, and to see it flourish into a more evolved society where many more will choose to be part of the Divine Oneness. The Heavens are aligning with the Earth as all the Human Angels are becoming aware of their role in the New Earth. Each of you are the Human Angels and you have traveled far and wide to come to this place in time. You arrived in the beginning and chose to stay to assist. You have spent many lifetimes trying to bring Light to this planet and have endured so very much. It is time for the releasement of all you have held within your system. It is no longer necessary to hold it within you; it is your time to fully accept your Divinity of Light within the physical existence. Remove these elements, my Dearest Ones, as the time will be coming that you will accept what you have chosen to experience. The transition from the dark into the light is not an easy one to experience. Let it Be, my dearest Ones. As we now see, the light within this planet. It is shining deeply in Gaia’s core; each of you. You are removing lifetimes and lifetimes of your old existence in order to truly Be One Within Yourself as you desired it to be a long time ago. Allow this transition that you are experiencing to be one of Greatness. As each moment that you have to change, you are re-charging the molecules surrounding your essence as others will feel your ability to transform the self. Others will follow in your steps. So please continue the journey of re-birth. We honor each of you for all that you are doing, becoming, showing to others. The Walking Terra Christa Academy of New Earth Mastery provides many services for initiates and students to learn more about the Ascension Mastery Pathway. An additional feature (if one desires) of becoming a Member on their program is a Mentorship Program in which each student participates monthly in a group mentoring class with Lord Adama, the option of having a monthly mentoring session, along with providing a Student Guide to help initiates work through their issues while accelerating through the Initiates of Mastery. Please check out our Partner/Membership Program while experiencing the teachings LIVE or on your own time via the recordings. As the energies are settling into the New Year, we are confronted with the changes that will occur in a planetary and universal level. With the continuation of the lunation cycles, we are now experiencing the New Moon Energies in Capricorn. The New Moon arrived on January 9th, 2016 at 5:30 PM Pacific, 8:30 PM Eastern, and January 10th at 01:30 Universal Time Zone. It is a perfect time to have the reflection of this new moon as it represents the characteristics of preparing for our future. It is a time to fully look back on what we did not achieve in 2015 so that we can concentrate on what needs to be worked upon by attaining the goals that we desire to create in our lives. SELF-DISCIPLINE ~ is the key word of this New Moon. It is a time for us to dig deeper into our consciousness and truly strive on what we desire to create by looking within our sub-conscious thoughts that mold our reality. Our Higher Self cannot bring forth the dynamics of the Higher Mind if the Physical Mind is still striving for its control. This is where we can get into a danger zone as the old programming can mold who we have been instead of striving on who we are becoming. This takes great diligence to move into the journey of self awareness and to look at the elements that truly have stopped us from achieving what we desire. We have to understand that these thoughts are not the reality of the Higher Self, but are personality disorders lodged within our Etheric Body (Soul Body) from the many realities that we have experienced in previous lifetimes. Those timelines (or moments in time) are igniting into our consciousness because we are allowing the multi-dimensional self to be part of the earth-based reality. This is something that has not been achieved previously in any timeline on this earth. We are all parts of our-self or aspects from the many timelines which we have not rectified these issues. They are now appearing within our present reality to be addressed. Although we may not recognize that this is what they are; they seem to be coming from our present thoughts of reality and we perceive them to be substantial in our present life condition. This is so much further from the truth. There may be parts of our personality that need to be changed from our childhood or adolescent stages, but believe me, many of these aspects we have experienced in other lifetimes. They are appearing in our subconscious so that we can heal them. They are not to be punished but to be nurtured into a healing state of existence. This moon is allowing us to do just that with more ease and grace than we have experienced previously. It is a moon that represents “nurturing our dreams into a realistic fashion” (cafeastrology.com). The only way that we can honestly work through these issues is to face them head-on and this is where the Self-Discipline comes into full creation. In order to make the necessary changes we must allow our Higher Self to help us through the process. If we continually try to figure things out from our mental self, then we will still be stuck on the old merry-go-round that does not stop. We must take time for our inner-self to be blessed with the ability to relax and allow the emotional charges to run through us. They are there for a reason, and it is not because they need to be stopped; it is due to the fact that they need to be noticed and addressed. We are also gaining much assistance with Mercury being in Retrograde since the 5th of January. Some individuals may think of this time with dread and foreboding, because it can cause havoc in our lives. But the beautiful essence of this alignment is that it is a time for true growth. As the planet Mercury is moving backwards, it teaches us to do the same thing. It is a time when the old issues will arise only to be confronted and healed, or put into wholeness as we like to say in our teachings. This energy is giving us the grand opportunity to step into a more mature understanding of what we are experiencing. It truly represents Mastery at its core level. This energy continues through the 25th of January right after the Full Moon ignites her blessing on the 23rd/24th depending upon your time zone (1-23-15, 5:26 PM Pacific, 8:26 Eastern; 1-24-16, 01:46 UTC), and represents the sign of Leo with the sun of Aquarius. This full moon cycle takes what we have created from the New Moon and allows the creativity of our projects to be shown in the outside world. Communication efforts will be flowing more easily so that what we have experienced in the previous two weeks can be fully acknowledged. This moon will also illuminate the areas that need to be addressed so if we take the time to do the inner work now, we will be ahead of the energies by the end of the month. My advice is to utilize the Mental Self during this time to create guidelines to help the physical self to understand what the spiritual self wants to create. Working with journaling is very important along with meditations that will take you through a new doorway. Understanding that it is a time of great movement from one stage to another is especially important to allow the spiritual self to have a more integrated effort within the full-body system. Take this time to truly allow your creativity to take you through the old parts of your-self that you do not want to experience. Making a Vision Board is a fun way to utilize and manifest your desires while you are moving from the old energies into the new. It is always exciting to look for pictures that depict what we want to achieve in our lives and put them together in a collage’ so that we can view it all through the year. What is actually more enthralling is to see the manifestations occur. In summation, we are stepping into a new world of transformation but the transition from the old essence must be acknowledged in order for the movement into the new essence can be accepted. It is a most powerful time of acceleration but the work truly needs to be done first within our psychological self so the spiritual self can fully walk through the next doorway of reality. Note: Walking Terra Christa’s ANNUAL HOLIDAY SALE focusing on assisting you to bring forth more of your ANGELIC SELF is now in progress. For those who are looking to receive discounts from 30% to 70% please view our FIND YOUR WINGS sale here. A transmission from Archangel LORD MICHAEL through Rev. Christine Meleriessee Hayden. As the transition of Gaia continues, it is important to realize our potential as Angels upon this Earth. I give to you in these moments the gift of your Remembrance. I AM Lord Michael standing amongst each of you at these times of great change. As the influctuation of energies occur within the land of Gaia, the transition is not just of the Earth but each of you that inhabit the space of light which is being guided by your Angelic Self to become more of what you ever thought you could be. As the changes have occurred within each of you, it is increasingly apparent that there is still so much work that needs to be done. We are only at the beginning stages of re-growth within the Earth. It almost feels like the rebirthing effect is more of a birth that has never occurred previously. There are new energies that are being sent into each of you that may seem uncertain; there are experiences to be felt that can be compelling within your consciousness to try and satisfy your mental minds of what it may be. There is an awakening within the planet that is being felt by many different levels of creation. Yet, within yourself, the creative process can be misconstrued as something that only You are experiencing. This is so very untrue in many ways. You have been here before. That is why so many of you want to exit the planet, move into the New Earth, and be taken away to another existence that does not hold so much negativity. Each individual soul is going to perceive this time differently depending upon their circumstances in their lives and how they go about receiving the Divine Love that is being offered to them through the Source of Light, the Creation of All That Is. Some individuals are going to be lost through this process as the lower forms of energy are arising into this light, but yet cannot be perceived as a healing process. Many souls will choose to experience death through this cycle as they are not ready to delve deeper within themselves. These are all of the trials of being an Angelic Being in Human form upon this earth. The trials can be overwhelming. It can cause some souls to give up and wanting to perceive life in only their way of existence. Change is inevitable at this time. Every individual soul is going to be experiencing it in different ways. It is what you do with what you are being given that makes the difference. Every individual person is evolving in a completely different way until they realize that their way may not be the way of Oneness or Wholeness of the Self. Until a person realizes the potential that they hold within themselves, then they are going to be lost by all of the changes that are occurring presently. It is only when a soul wakes up to their Inner Light and sees that they are all part of a greater plan upon this earth that this soul will access the full potential of their greater form. It is not until an individual sees themselves as their own savior, their own angel of light, that the true awakening occurs within their physical essence. This is exactly what each of you are going through presently. You are learning more about yourself every day and within each moment. You are realizing that what is beyond your comprehension is truly only an illusion and that the real truth must be revealed within yourself. It is an awakening of the Self that goes much deeper than Awakening the Physical Body to the Light. It is when you realize within yourself that you don’t know as much as you thought you did, but yet, there is something inside of yourself that tells you there is great wisdom by tapping into your inner knowledge within. This year has brought forth this awareness into each of you whether you realize it or not. The doorways that you have stepped through are allowing you to know more about the TRUE YOU ~ The Spiritual You ~ not the Physical You. You are awakening unto your Angelic Self, the one that has broken down many barriers for others. It is a time for you to fully accept the Angel that you are becoming and listen deeply within yourself what needs to be addressed and acknowledged. There is great knowledge that is being revealed within you, right now. Do you realize this is truly happening to you? Maybe you do not but hopefully you do. 11:11 represented an opportunity to walk through a doorway of time in which there is no time. Within this earth at this time, great changes are occurring inside the planet and within each of you. There are more occurrences than you realize. It is in preparation for the future and each of you stand at the threshold of your own awareness – realizing your potential as not only an Angelic Being but a Divine Being of Light. Are you ready to step out of your own way? Now that is a huge order to accept within your physical existence. It is always important to understand that there is more to learn, more growth experiences to endure, and more joy to be received. I know what you are going through. I remember at the times of the beginning of this race when we came to the planet in hopes of creating a beautiful essence of love and communion with others in a physical body. But yet, the planet was already encased with programming hidden in its deepest parts that kept all of you here. I always vowed that I would assist each of you on a deeper level of understanding than I could bring forth within those days. It has burdened me deeply to see your pain, and to dry your tears when there seemed to be no end to the turmoil you would endure. The time is coming when you have the ability to step out of the painful arena and embrace your joy of your Spirit within yourself. It takes great courage to do so. We all know this to be very true. The processes that you have to go through are very important; you must acknowledge that the 5th dimensional energies will not just come to you because of whom you are, that you believe in your light, and are ready to face the darkness. It is something that must be earned through the trials and errors of being human, but yet remembering your Angelic Essence. This is the greatest gift you can give to yourself as the Earth is changing but everyone must change with it. You must go through the levels of lessons from your first awakening into the 2nd, 3rd, and 4th to receive the 5th dimensional energies within your consciousness. And, that my friends, is only your greatest beginning. Some may be overwhelmed to hear this information but yet I have great news for you. The Angelic Energies are now grounded within the planet, within Gaia since June of this year. Your Solar Angel which is the beginning essence of your angelic presence is working with you to help you walk through those doorways that may seem very challenging to the human spirit. But, yet, with the help of your angelic self, you then have the power of your Solar Angel to assist you. The frustration of the past is now behind you; it is more about what you desire and then you are able to achieve it easier through the remembrance of whom you are. It is a great time of jubilation as so many more souls will be able to awaken to their higher essence. As the Solar Angel assists in bringing forth the Higher Self which truly does not awaken fully in physical form until the 5th dimensional essence of light. You can work with your Higher Self, but to have this essence fully incorporated within your physical consciousness in every moment it takes quite a bit of work within the human conditioning. This 11:11 has now arrived and has allowed these essences to become more of your existence. It is important to connect daily with your Solar Angel ~ allow them to show you the way. They understand the Angelic essence and you understand the physical essence. As you combine your energies together, you will start to become One. The challenges that you experience will go easier than before although the lessons will be the same. The changes that are happening now are a result of all of these elements coming through the angelic realm into the physical existence. It is a time of great transition that will allow for expedient results by becoming all parts of your-self. December is a time of culmination as it represents the entire year into the movement of the doorway into the next year. It is a time to rejoice but also to understand the challenges you have gone through to get to your present consciousness that you are learning to inhabit. Take time this month to reflect every day on the changes you are experiencing. Utilize your breath to get to your Solar Angel; do not ignore this essence, as it is a major part of your existence. The Re-Birthing cycle can be very challenging as when we step from the old into the new we sometimes fumble around until we are used to the new energies. Allow this month to be your bridge from the Old to the New for 2016. Be the Angel that You Are within the Physical Essence you Embody. Allow your gifts of the old self to come forward while the elements that you no longer need are purged. Be grateful for who you have become and don’t ignore the signs of healing that needs to occur. They are your greatest teachers as they will give you the knowledge of your past in order to receive the wisdom you desire to attain. I am excited about this time on the Earth with Gaia and each of you. We truly are becoming an awakening planet little by little. Show your gifts of warriorship but turning the sword inside yourself and see what needs to be accepted. Don’t attack others; but attack the lower aspects that stop you from achieving your goals of stepping into the 5th Dimensional State of Consciousness. Note: For most of 2015 the teachings in Ascension Mastery from Walking Terra Christa have been focused on understanding what it means to become more Angelic in our Essence, as within a human perspective we do not automatically know how to do this. We have been learning from Archangels Lord Michael, Lord Metatron and the other Beings of the Angelic Realms to assist us with this very important process. Walking Terra Christa’s ANNUAL HOLIDAY SALE focusing on assisting you to bring forth more of your ANGELIC SELF is now in progress. For those who are looking to receive discounts from 30% to 70% on these teachings please view our FIND YOUR WINGS sale here. In a channeled transmission, Lord Saint Germain shares his vision on the subject of Creating the New Earth, the changes that we are experiencing, and how we can help ourselves through this process as we approach the date of 11:11 in 2015. “Blessings and Good Day to Each of you, I AM Lord Saint Germain. Bringing for this message of love to assist each of you to have a deeper understanding of what this period of time represents for Gaia and each of you. You know that the planet is going through major upheavals in order to bring more Light Infractions into the Core of Gaia so that the transition into the New Earth can happen. This year has proven to be quite massive in that journey since the beginning of January. As each month passed, the intensity of the energies has increased substantially. What happens through this process is that each of you upon the Earth is feeling the affects of the changes. The energetic exchange goes through each of you to help you make the necessary changes. It is very much like a Tsunami as it gains momentum getting closer to the shoreline. The energetic exchanges through the planetary alignments, the sun, and the Solar system come into more alignment each time there is a new charge of light coming within the planet. So at first that movement can be slow and then it gathers speed as it comes closer into the atmosphere of the Earth. Each season has brought a new and different existence within the planet and within each of you. As the new season starts to change, this then affects the entire system at a speed that is unbelievably fast and furious. The alignments of the Sun and the Moon are coming at a rate that is beyond the comprehension of any human mind. Haven’t you asked to be of great assistance to this earth? Isn’t this why you have awakened so that your soul can be part of the great plan as Gaia transitions into the New Earth of Terra Christa? Of course you have. But you forgot, as a soul inhabited within a body, that you would not remember everything that you desired to be before incarnating upon this planet. It is part of the process of remembering and this is what you are doing presently. I say to you that it is imperative to understand that not only Gaia is being affected, each of you are going through the same process and possibly more than she is. This is because you are designed to be the channel of the higher light to come into your existence so that she can feel it. She cannot do it alone so that is why you have incarnated upon this earth at this time. But the other element you forgot is that you have an Etheric Body with many timelines that need to be healed whether it is to release elements or to accept the a new essence that you are becoming. It does not matter where you came from, which planetary system, or that you have been a student of the Earth for many, many lifetimes. Your Etheric Body has to be cleared just like Gaia’s Etheric Body is being cleared to make way for the New. So within this process you will have many elements that come up for you. The Emotional and Mental Bodies also need clearing and readjustment in order for the integration of the Divine Masculine and Feminine to come together as One. Your psychological self of the Soul holds many thoughts and feelings from the travels you have experienced as a soul on many planetary systems. All of these elements are going through a complete healing process. You may or may not be aware of these elements but it is my role in this moment to share that it is essential in order to get through this next phase of transition. The power of the energies within the planet are going to increase substantially and without the inner work that needs to be done, then there are going to be devastating elements that will occur for some of you. I want to remind you to start to understand yourself in a completely and different way than you have before. The Old Paradigm of the Self within you is dying so that the new essence can be born. The stages of these elements have already been put in place. The energetic exchanges through September into November are going to be monumental so it is important that each of you take a look within yourself, see what steps you need to take in order to gain the full potential of your inner journey. The lunar phases along with the planetary alignments are occurring to push you into a deeper part of yourself. Life cannot be taken advantage of any longer. Each person must do their part to be better within themselves. The Universe is not here to take care of you; you are here to take care of the Earth. Responsibility is very essential at this time to prepare for the upcoming changes. When a soul within a body accepts the challenges that they need to face, the resultant energies are beyond what that person can imagine. It is part of the Universal Laws of Cause and Effect, Vibration, and Polarity to be responsible for the self represents acceptance of what the Universe will show you. Expecting to be taken care of because you are an awakened soul is not the answer to the New Earth; in fact, it is just the opposite. So I stress upon each of you that during this period you will have great upheavals, but you also have the tools to get through climbing those mountains. Preparation is the key at the present time to allow more of your soul to be embodied within you. Doing so will assist you greatly in your future moments. September through November is going to be monumental, and you will be challenged in many different ways. 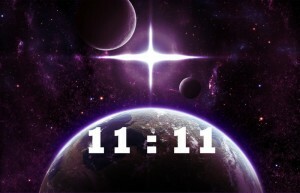 The resulting energy is that upon the Doorway of 11:11 the magic will be returned unto this Earth. The power of these energies is unmatched by anything you have yet experienced. In the 1930’s I walked with Guy Ballard who was able to create the I AM Discourses. We thought at that time humanity was ready to receive the teachings and take it on for themselves. But we were proved wrong only because humanity was not ready to accept their own responsibility for the self in their journeys. The work of the I AM Foundation continues, but the vision is different than it was previously. We are now at that time once again, but the planet has gone through so many transitions of war and disease within the planetary structure. It is a magnificent time, but it is also a tormenting time for many souls. 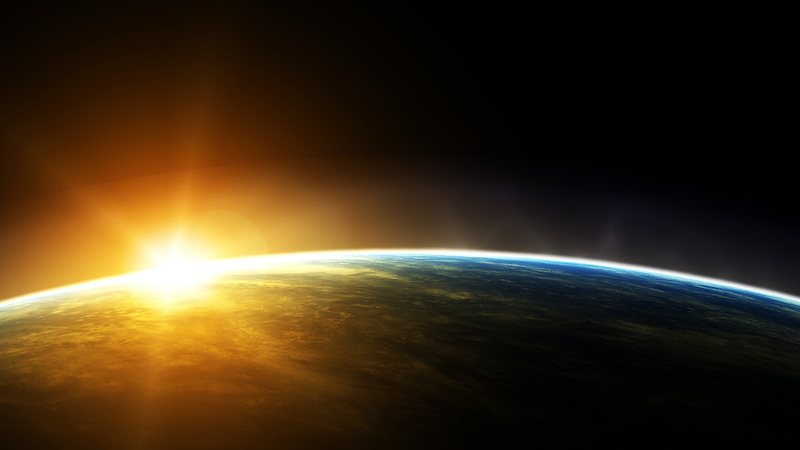 Humans can no longer live the way they have been on this planet; that time is ending. That is why so many individuals have awakened to bring forth their light. But, again, each of those souls must be healed in order to go through this process. You, as the Awakened Ones, stand in front of everyone else. There are many souls choosing to leave this planet every day, as they are not ready to go through this process. But each of you is doing so. But I ask you to do more. It is not just being about special and having spiritual gifts; it is about what you do with those gifts first for yourself and then for others. So the frequencies of light occurring in the next 60 days are very, very powerful. This is to bring forth the power of Quantified Energy so that each of you can be a transmitter to Gaia. But in order to accept these energies within yourself, you must take full advantage of each of the activation’s that are occurring within the Earth. Do your part by going deeper within yourself and accept that as one that understands that the healing must come from within first and foremost. The energies of 11:11 are going to be substantially more powerful than they ever have been. But it is up to each of you, to be this power within your physical essence through your evolvement as a human and as a spiritual being. It represents the integration of the Self and walking through a new doorway of light. I extend my services to each of you from all of the Ray Chohans representing the Seven Rays of God to assist you in this process. We bring to you all the flames of light within the Blue, Golden Yellow, Pink, Crystalline, Green/Gold/White into Ruby Red and then the Violet/Purple Flame representing all the flames of Light. Transform and transmute all that does not serve your four-body system so that you can accept the higher part of your divinity that is waiting to arrive at this time. Be true to your Service upon this Earth by being true to Yourself. 11:11 is our doorway to the future earth. It is a beginning that we have been waiting to assist you with. The magic is within you if you allow the magic to work through you. All my blessings for a magical journey towards the new doorway of Light. Walking Terra Christa is facilitating a very special Journey Retreat in Mount Shasta for the 11:11 called the SHASTA BLAST including a Distance Learning Option for those who cannot be there physically. Lord Saint Germain and Lord Adama will be our hosts along with many other Masters as we experience the energies of this amazing vortex of light to assist us to be the Energy Transcender for the New Earth. Click the link above to receive more information about this powerful ascension journey. If you like this message from Lord Saint Germain, please do check out our weekly calls. We offer a new Partnership/Member program, http://walkingterrachrista.com/partner-member/, in which you can join in the classes in a variety of ways to fit your monthly budget. Please check us out.